what a beautiful cake! 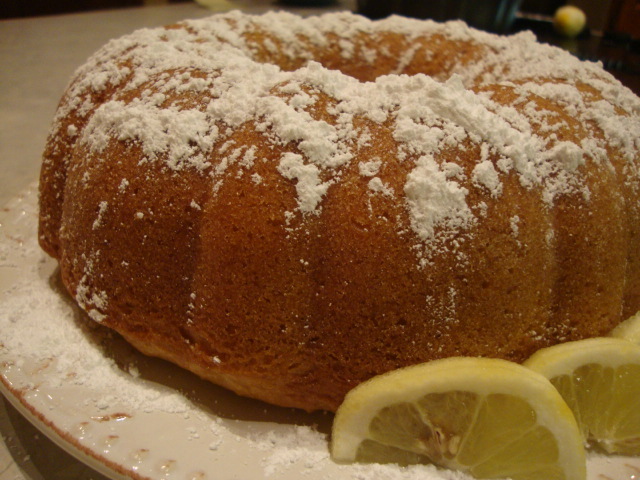 The lemon must make it so refreshing, and the crumb looks perfect! Great variations! I usually use applesauce to replace eggs or oil; never thought to replace the soy/almond milk with it. Good tip! I hope it will be good….the instructions left out the coconut itself so I forgot until I had placed it in the oven so I quickly stirred some spoonfuls in while it sat in the oven. Wish me luck…it’s my daughter’s bday cake. I just followed the recipe as it was (from Veganomicon). I think it could be because the cake needed a certain amount of milk, but instead of being left with extra coconut milk from another can, they just added soy (or almond milk). I hope your boss and everyone likes it! It is too! 🙂 I just made it the other day for a family get together; everyone loved it. And it’s so darn easy to make. 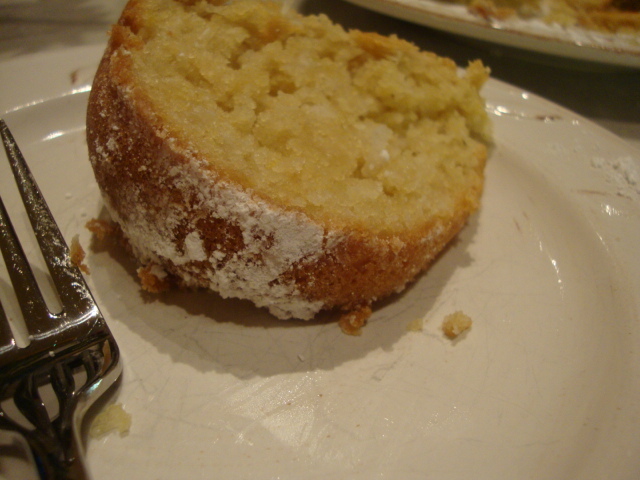 I also made a quick lemony glaze for it too with powdered sugar, lemon juice and almond milk. I don’t believe I mentioned anything about a glaze in this recipe. I’m sure you could easily find one online somewhere. Let me know if you do. Glad you’re back online today! I came to your site yesterday to look up this recipe and the site was gone.Yikes! I was scared! I did make this recipe yesterday but had a few questions. My cake turned out dark in color (not burnt). Could it be the three Cups of Whole Wheat Flour vs. pastry flour? Also, the 3 Tablespoons of lemon zest really got to me. Almost makes me want to never zest again honestly. Do you have a favorite zester that makes it easy? I zested for along time and never got to the 3 Tablespoons. My cake still turned out with good flavor just didn’t look lemony. Have you tried to make this gluten free? No, I haven’t. But I’ve made a GF red velvet cake using a GF mix that I think worked really well that you could try with this cake. I also know that Pamela’s makes a great GF flour blend too. I am in love with this cake. However, just to let you know, I’ve been using lemon oil (flavor) in place of the zest, and it’s worked wonderfully. I don’t know what proportions I’ve been using–I think something close to 2 tsp of lemon oil–but the lemony taste is strong and I haven’t microplaned my fingers off or wasted entire organic lemons in the process. Also, I ran out of canola oil hand have been using coconut oil instead. It’s liquidy because it’s summer and I bought an abundance of it at CostCo not too long ago. Superfabulous. Thank you for posting this recipe!!! I LOVE this cake, too 🙂 It’s so easy to make and I really like your suggestions. I’ve never heard of lemon-flavored oil, but I can suddenly think of a ton of recipes I could use it in! And I agree, sometimes it’s hard to find a use for the both the lemon rind and the lemon itself, so lemon oil sounds perfect. And coconut oil in this makes sense since there’s coconut already in it. I’ll definitely try your suggestions next time. Thanks! I just made it in the 8 inch Bundt pan & it’s overflowing & burning on the bottom of my oven. 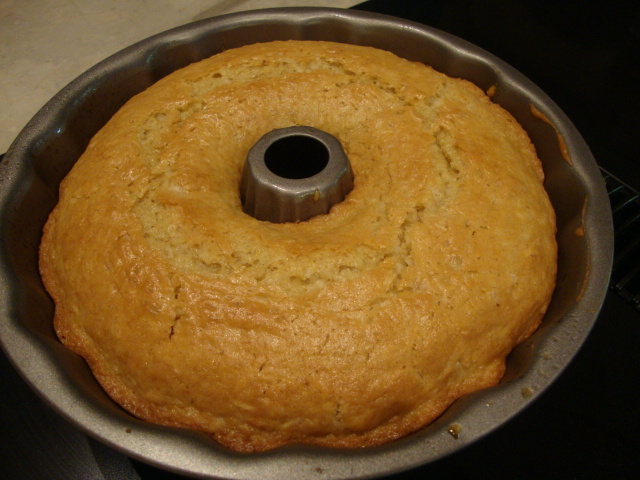 Surely it must be made in the 10 inch Bundt pan. I’ve been searching online unsuccessfully for errata for Veganomicon. Oh no! I have the cookbook and looked it up; it says to use an 8″ OR 10″ I believe mine is an 8″ and I’ve never had that happen to me. I’m so sorry that happened!